Prezentare Enter the world of Geronimo Stilton, where another funny adventure is always right around the corner. Each book is a fast-paced adventure with lively art and a unique format kids 7-10 will love. I have never been a brave mouse... but lately, my fears were taking over my life Soon I was too afraid even to leave my mousehole. That's when Thea and Trap decided to cure me. They dragged me away on an airplane (I'm afraid of flying ) all the way to the jungle. 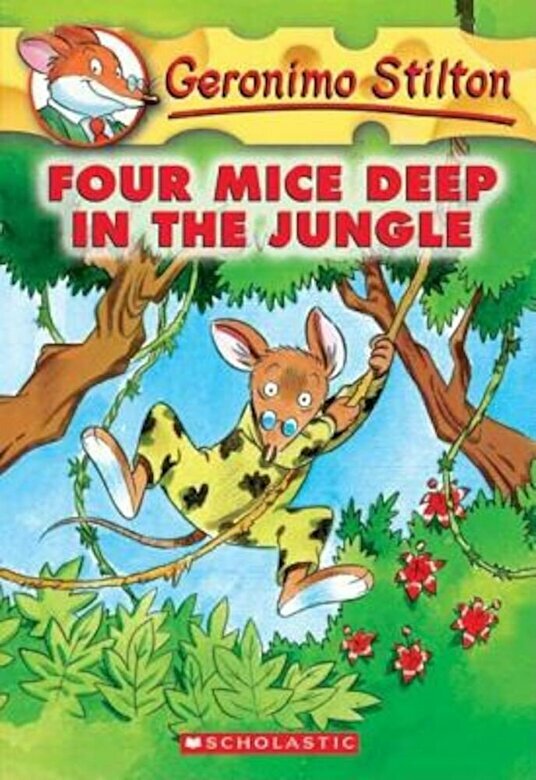 There I was forced to eat bug soup, climb trees as high as skyscrapers, swim in raging rivers, and even wrangle snakes How would a 'fraidy mouse like me ever survive?